Just released – the latest version of Kumulos. 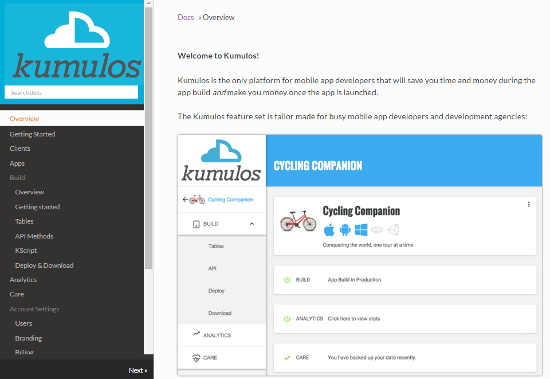 Big changes to how Kumulos looks and awesome new features to make your life easier. In short, this is the biggest upgrade and refresh since Kumulos was launched back in mid-2011. As we approach our 5th birthday we thought it’s about time to freshen things up a bit. At the same time we’ve made some layout changes to give the structure we need for the big things coming down the pipe. New UX/UI based on material design, build in ReactJS. A big look refresh and improvements in usability. Introducing Agency Console – with a single view App Grouping by Customer – huge for busy app agencies with multiple customers with multiple apps. Introducing a Services Based view – now we show Kumulos AppBuild, AppCare and AppAnalytics service views. You can more easily see important information on each app you manage. Full Custom Branding – Kumulos can now be fully rebranded at every touch point, logo, colors, and sub-domain. Introducing Customer App Portal – Your App Publisher customers can now log in to their own view of their apps and how they’re performing (in your branding). New Docs site – now Kumulos Tutorials, Recipes and Cook Books are now better organised, so its easier to find what your looking for. The first thing you’ll see when you login is changes to the the console. Kumulos’ has a new, fresh layout. Some parts have been moved around a bit to simplify the screens and give us room to add more features in future. Importantly, for the many active Kumulos users, we’ve not changing how it works. We have updated how it looks, adopting Material Design Principles and improved how things are laid out. We know you love how easy it is to use, so the drag and drop interface to build tables, create API methods, manage content, quick browse features etc. all remain the same. 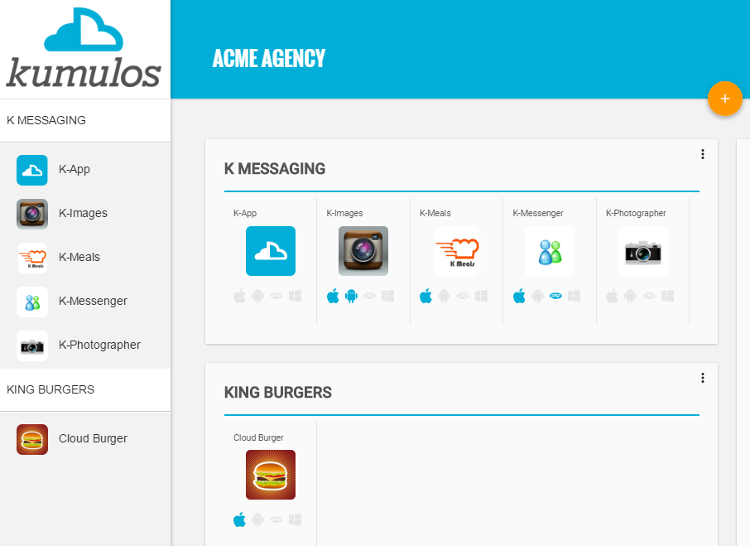 We’ve launched the Kumulos Agency Console. 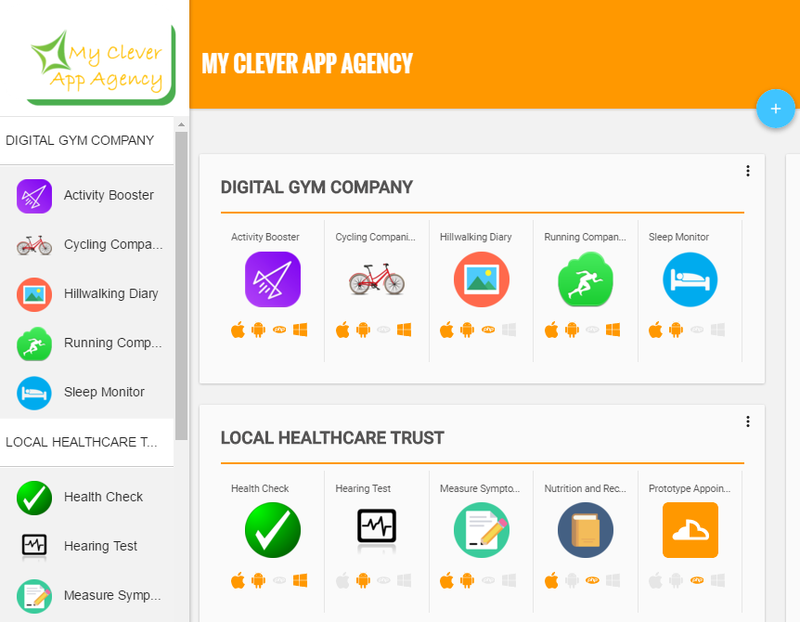 This lets you view all your apps for all your clients, all in one place. Its now easier to manage all the apps you manage through this easy to view single pane of glass. Check on the status of all your apps, get alerted if there’s a problem with any hooked up external databases. Being able to easily group all your apps under each of your clients is something Kumulos users have been asking for this for a while. So we’re happy let you know its now here. This lets you group apps under each Client with live apps and those in development in the same view. If you have multiple clients with multiple apps, this will make your console much easier to navigate and use. Stay in control as you scale. Big improvements to the own branding feature. You can now fully re-brand Kumulos at every touch-point. 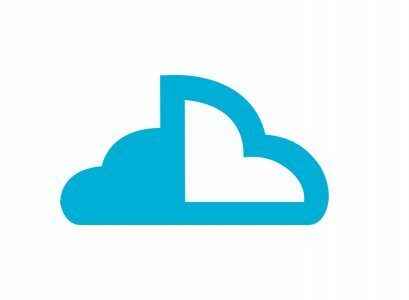 This gives you your own custom sub-domain – yourname.app.delivery, with the Customer App Portal with your name and branding, and not ours. What’s more, with your Apps Grouped under each of your Customers, you can now invite your clients to their own dedicated App Portal (in your branding of course) where they view app analytics and status of their app as well as manage content in their app, all self-serve. Tied into usability and layout improvements, we’ve upgrading the layout of the Kumulos Console, separating out the Services that make up a typical mobile app lifecycle. Kumulos is the only Mobile App Management Platform that helps you save money when you build and make money once you ship your app. You can now more easily offer “Follow-on” services to your clients and show this in their App Portal. Your clients get great apps that just get better, you build monthly income for your business and stay close to your clients. AppBuild – pretty much the core mBaaS feature we have today, where you built tables, add/edit table content, create API methods, download bindings and compile the SDK for your project. AppCare – check alls working as it should. Shows status of any hookup databases, database backup. AppAnalytics – Statistics view for each app. Views of API calls and Active Device counts trends over time. Ok, we have to put our hands up here and admit that our Docs haven’t been up to scratch for a while. So we’ve made a huge leap forward in making this better. We now have a completely new Document site with How to Cook Books, sample code and tutorials on how to get going quickly with Kumulos. Check out Kumulos Docs here. Its now so its easier to follow how to configure Kumulos for specific task in the platform you’re working on. With this Docs refresh you have our promise that we’ll be working hard over the coming weeks and months to update them fully to the new UI, videos, tutorials and the the rest. New AppBuild Features- Improved RESTful API, updated SDK’s for iOS, Android, Ruby, Swift, ReactJS and Java. AppGrow – App Store Optimization Services to drive app downloads. Measure and manage rankings in GooglePlay and Apple Appstore. Lets you build ASO services to help you drive more downloads or your clients apps. Own Branded Reports – Branded as yours, emailed reports so you stay in touch with clients. Push Notifications – Run marketing push notification campaigns to drive in app engagement for your clients, wrap them up as a service, branded as yours and build monthly income for you. New and Improved Documentation – a more comprehensive, easier to search docs site with how to guides, tutorials and cook-books on how to get the most out of Kumulos. This is just the start of big things happening at Kumulos. There are more great things coming down the pipe.